Fuel Card Services has entered into a partnership with the Fleet Operators Recognition Scheme (FORS). 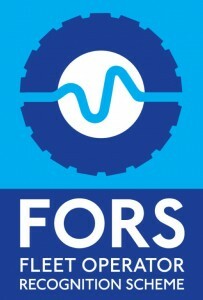 FORS is an accreditation scheme that is voluntary and open to any organisation that operates fleets of vehicles, such as coaches, lorries and vans. According to Theo de Pencier, chief executive of the Freight Transport Association, this can give customers assurances that the organisations they deal with “take safety and compliance seriously”. “The added benefit of accident reduction and public recognition of high standards means the potential to stand out from others when competing for new business,” he commented. FORS accreditation can also help operators enjoy lower vehicle insurance premiums, while additional discounts can be obtained if they include the Telematics Package. In addition, fleet operators that work with Fuel Card Services should get free access to the widest range of fuel cards, which means they can save up to 4p per litre against national average pump prices, and up to 10p per litre if they are filling up on the motorway. Other benefits include a 15 per cent discount per driver for all Ultimate and MileageCount Premium customers, as well as 24/7 online access to their fuel account. Businesses that wish to take advantage of these benefits should contact our FORS specialist, Rachel Pearson by clicking here and register their interest.